Last weekend I was out of town at a friends cabin in beautiful Truckee, Ca. near Lake Tahoe. This is an annual “Girls Weekend” which is a pretty good reason to be a little behind on the holiday decorating! It is so nice to get away with some of your best girlfriends to visit, eat, drink, hot tub in a snow flurry, play some games, and just hang out and chat! I have also decided to do things a little differently this year. I am using a smaller portion of my holiday decorations, and recently purchased this ornament collection from Home Depot to set my color scheme. I already use a lot of blue accents in my home and this Martha Stewart collection will work nicely. 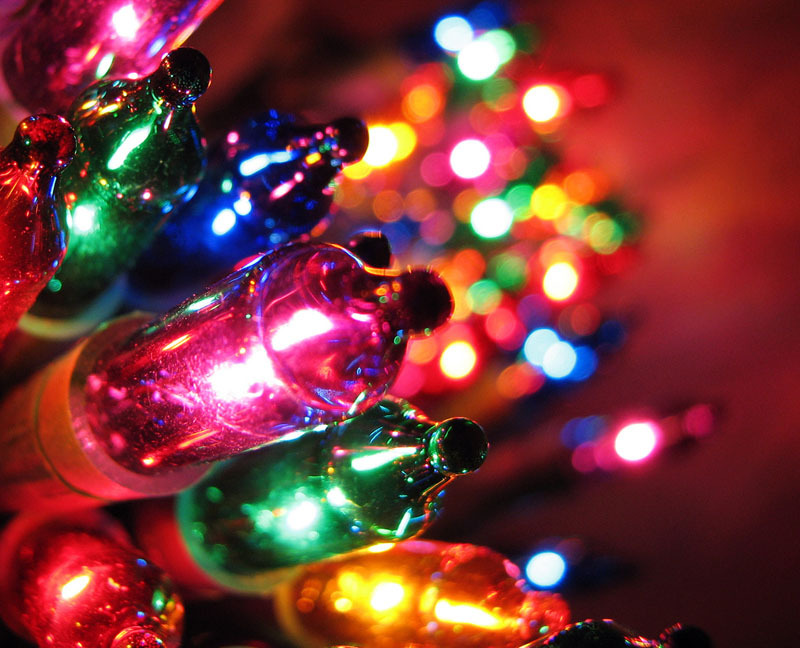 Now for the next decision…white lights vs. colored lights on the Christmas Tree? I have always used colored lights on our tree. That is the way our family did it growing up and I loved the colored lights with all the unique and different ornaments. However, now I am in the mood for something different and think I will change out to white this year! How do you decorate your tree? Are you a colored or white light family? Girls weekends are the best - lucky! I've always been a white lights girl, but this year we're going to try out some colored lights on the girls' playhouse outside. I could use one of those weekends right about now! Love the ornaments. We have done both white and colored in the past. Too funny Laura! I made the switch from colored lights to white lights this year (this weekend actually) and it was such a big deal but I'm glad I did. I too grew up with colored lights and had a hard time letting go of the tradition but the white lights look so pretty that even the rest of the family was on board. 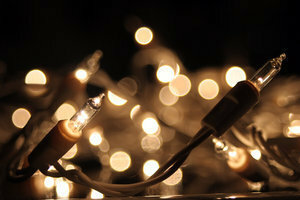 I realized you don't need as many light with the white ones too because they are so much brighter. Can't wait to see what you do!